Welcome to Grapevine Physical Therapy & Sports Medicines resource on Temporomandibular Joint Disorder. The temporomandibular joint, commonly called the TMJ, is your jaw joint. There are two temporomandibular joints, one on each side of your head, just in front of your ears. If you place your fingertips on top of the skin in front of your ears and open your mouth so your jaw drops you will feel the joint moving under your fingers. The TMJ is a hinge joint that is made up of two bony parts. One part is located on the temple bone of the skull (which is denoted by the ‘temporo’ part of the joint’s name). This part of the joint is shaped like a shallow hollowing and is called the TMJ fossa. The second bony component of the joint comes from the lower jawbone, which is also called the mandible bone (‘mandibular’ part of the joint’s name). This portion of the joint is round and knob-like and is called the condyle. The condyle fits into the fossa of the temporal bone. Movement of the TMJ allows us to open and close our mouths in order to do a variety of things such as sing, speak, yawn and chew. If you place the tips of your fingers in front of your ears and open and close your mouth, you will feel the condyles as they move in the fossa under your fingers. An extremely important part of the anatomy of the TMJ is the articular disc within the joint, which sits between the bony fossa of the temporal bone and the bony condyle of the mandibular bone. The disc, which is made up soft malleable fibers, follows the motion of the condyle and acts as a deformable pad that allows the condyle to move forwards and backwards on the temporal fossa as the jaw opens and closes. Any disturbed motion of the disc or wear down of the anatomical structures of the disc can quickly lead to pain and dysfunction in the joint. There are numerous ligaments and muscles that attach to the bones of the TMJ. These ligaments and muscles both create stability of the joint and also allow motion at the joint. A stable joint means that the bones remain in the correct anatomical position at rest and while in motion and this allows the joint to function as it is designed to do. Ligaments attach bones to other bones and their primary responsibility is to maintain stability of the joint (keep the joint in place). The most prominent ligaments of the TMJ include the temporomandibular ligament, which attaches straight from the temple bone to the mandible bone, and covers directly over the joint itself. The stylomandibular and sphenomandibular ligaments are other large ligaments that attach from bones of the skull to the mandible. Other smaller ligaments around the TMJ also assist in stability of the joint and allow the joint to function properly. In addition, a thick portion of tissue, called the joint capsule, covers over the TMJ joint and also provides considerable stability. In addition to ligaments, there are several muscles that not only help to the stabilize the joint, but also act to move the TMJ (and subsequently the lower jaw) so that we can carry out the variety of movements we do with our mouths. The two largest muscles involved in jaw motion are the temporalis muscle and the masseter muscle. Both muscles can be felt when you clench your jaw; the temporalis muscle can be palpated in the area over the temples and the masseter muscle can be felt bulging near the jaw angle. The medial and lateral pterygoid muscles are a set of muscles on each side of the jaw that lie deep along the TMJ joint. The medial pterygoid has two portions, both originate from the deep skull bones and then come together to insert into the mandible bone. The muscle can be felt if you wrap your thumb under the angle of your jaw and press up and inwards toward the bone. It can also be felt within your mouth as you palpate near the same area, under the base of your teeth, beneath the gums. The lateral pterygoid muscle also has two portions and also originates from within the skull. One portion of the muscle inserts into the TMJ’s articular disc and the other portion inserts into the mandible bone. The lateral pterygoid muscle is more difficult to palpate for untrained fingers, however if you slightly open your mouth and press your fingers into the small indentation made near the TMJ you will be pressing on one portion of the lateral pterygoid. From the inside of the mouth you can run your fingers along the upper teeth until you hit the gums at the back of the mouth, between the upper and lower teeth. Pressing on the lateral pterygoid in this location is often painful. The medial and lateral pterygoids are extremely important muscles in the movement of the jaw. The medial pterygoid assists in moving the jaw in several motions but one of its main functions is to close the jaw, and it does this by working in conjunction with the large masseter muscle. The lateral pterygoid’s main function is to move the jaw to one side. If the lateral pterygoids on each side work together at the same time, they can assist in opening the jaw. Other small muscles, which attach to the tongue, skull and lower jaw also aid in movement of both the jaw and tongue. The innervation, or nerve supply, of the TMJ, gives both sensation to the joint, and also provides the muscles of the joint with the necessary nerve input in order to work. The TMJ innervation comes from a combination of nerves, including a portion of one of the deep cranial nerves called the trigeminal nerve (cranial nerve V). A single specific cause of TMJ pain can often be difficult to discern as it is frequently due to a combination of factors affecting the joint. Congenital jaw anatomy means the anatomy that you were born with. The unique variations in jaw size, jaw resting position, and the position of your teeth once they grow in (including the adult wisdom teeth) can affect the wear and tear on the TMJ. In most cases anatomy alone does not cause TMJ issues but rather your individual anatomy in combination with other mitigating factors, can results in TMJ pain. Trauma can be in the form of a single macrotrauma to the joint (or related anatomy) or many little microtraumas to the TMJ. Macrotrauma to the TMJ may include injuries such as a punch to the jaw, a jaw fracture, a dislocation of the jaw, or even a motor vehicle accident. Microtrauma, such as prolonged opening of the mouth while receiving repetitive dental treatment, or repetitive gum, nail or pen chewing over time can also lead to TMJ pain. Trauma, both macro and micro, can disturb the normal alignment of the TMJ, cause tension in the muscles controlling the joint, and lead to abnormal wear on the articular disc. Clenching and/or grinding of the teeth are also considered forms of microtrauma to the TMJ. Many people clench their jaw as a habit, particularly when stressed. Repetitive chewing such as on gum, a pen, or on your nails is also a form of repetitive clenching. Clenching causes recurring stress on the ligaments and disc and also increases tension in the muscles of the TMJ, all of which can lead to pain in the joint. Teeth grinding is most often a habit that occurs at night. In some cases, the grinding is so intense that it heard by others sleeping in the same room. Intense grinding can cause wear down of the teeth and in severe cases can actually break teeth, fillings or crowns. Some cases of grinding may be mild and not cause any notable symptoms at all in the TMJ. As with repetitive clenching, the excess force creates undesirable stress on the TMJ. Often TMJ pain that is worse upon waking leads your Physical Therapist to the suspicion that you are clenching or grinding your teeth in the night. All joints wear down over time due to the natural process of aging, and the TMJ is no exception. In some cases, this wear and tear (osteoarthritis) occurs earlier than normal or is amplified by trauma, other biological factors, or inflammatory disease processes. Wear and tear can lead to pain in the joint. Prolonged poor neck (cervical) posture can directly affect the TMJ due to the close anatomical proximity of the two areas. The most common posturing fault that is seen in relation to the neck is a forward head position. Normally when the neck is in good posture and in line with the rest of the spine, a plumb line seen from the side of the body falls through the ear lobes and the middle of the shoulder joints. Many people, however, naturally rest their head with their chin poking forward. This results in the plumb line from the ear lobe falling out in front of the shoulders, and the weight of the head falling in front of the body. Computer or desk workers commonly display this neck posture. This forward head posture not only increases the stress on the neck, but also affects the position of the TMJ by dragging the lower jaw forward and in effect creating a constant shear and pressure of the TMJ condyle and articular disc towards the front of the joint. Other non-orthopaedic problems can cause or contribute to TMJ pain. Patients suffering from chronic pain disorders such as fibromyalgia or systemic disorders such as rheumatoid arthritis commonly feel pain in their TMJ. Psychological stress alone can also lead to TMJ pain, as can other more sinister problems such as tumours. In addition some ear, nose and throat problems can also manifest in TMJ pain, therefore a thorough examination is required to determine any contributing factors and also to rule out any serious issues. Pain or aching in the jaw bone, jaw muscles, head, neck, face, or ear (often in front of or below the ear) or other muscles surrounding the jaw area. Pain is sometimes worse in the morning, which can indicate nighttime bruxism. Clicking, popping, grinding or grating sounds when moving the jaw. Injury to the joint structures causes abnormal motion, leading to joint sounds. It should be noted that many people experience sounds coming from their TMJ but have no associated pain or problems. Difficulty opening/closing the mouth or moving the jaw. It is often particularly difficult to open the mouth wide. locked jaw. The jaw either gets stuck in one position, (more commonly the open position but can also be in the closed position). Generally this is due to abnormal functioning of the structures of the joint and a portion of the articular disc getting stuck within the joint. Difficulty chewing, biting, yawning or moving the mouth with ease. A feeling of change in your bite position (occlusion). Your Physical Therapist at Grapevine Physical Therapy & Sports Medicine will take a detailed history of your symptoms in order to diagnose your pain. They will ask about how long you have had your symptoms, and if there are any factors that aggravate your symptoms such as eating certain foods or performing specific movements such as yawning, chewing, or closing your mouth. They will also want to know if anything in particular eases your symptoms such as ice, heat, or massaging over the joint. Your therapist will want to know exactly where your pain is, if it radiates anywhere, and if you are taking any medication to ease your discomfort. They will also ask you about any dental problems or work you may recently have had done. Your therapist will inquire about whether your jaw ever gets locked into a position and will also inquire about how comfortable your bite feels or if you have noticed a recent change in your bite. As mentioned above, many other problems can produce similar pain as a TMJ disorder does, so your therapist will also need to ask you questions about your general health and will want to know if you have had any other recent illnesses, muscle aches, pains, or related symptoms. Next your therapist will do a physical examination of your TMJ. They will ask you to open and close your mouth and move your jaw side to side in order to determine how much range of motion you have. During this motion they will also assess how well coordinated the movement of both TMJs are together. Your therapist will also want to watch you clench your jaw and examine your teeth while doing this in order to take a general look at your bite occlusion. They may also ask to look inside your mouth to see if there is any notable wear and tear on your teeth. While you are performing any of these motions your therapist may place their fingers over your TMJ to feel the motion of the joint. They will also be feeling and listening for any clicking or popping in the joint. If the articular disc in the joint does not move smoothly and in coordination on each side of your jaw then the opening or closing of your mouth will be affected. One side may open or close slower, quicker or more or less widely than the other. This abnormal motion wears the joint down and can eventually lead to pain. In addition to palpating your TMJ your therapist will also assess the tension in the muscles that control your jaw, including the large temporalis and masseter muscles on your lateral skull and jaw. The smaller TMJ muscles such as the pterygoids will be assessed externally by feeling your jaw, but may also require an intra-oral examination. This requires your therapist to don a glove and feel the muscles, as well as the motion of your TMJ from inside your mouth. Your therapist will also assess the motion in your neck joints in order to determine if stiffness or laxity in these joints is affecting your TMJ. They will also want to assess your posture in both sitting and standing and will look closely at the resting position of your head, neck, jaw, face and shoulders. Any other muscles of the neck, shoulders or upper back that affect the TMJ will also be assessed in order to determine their strength, flexibility, and control. Your Physical Therapist, in conjunction with your doctor or dentist, may request that you obtain an investigation of your jaw or neck. X-rays or an MRI are the most common forms of investigations used to aid in the diagnosis of TMJ problems. X-rays assess the status of the bones and joint cartilage and an MRI can assess the other soft tissue structures of the joint such as the articular disc and the ligaments. Bite impressions by your dentist can be another investigation needed in order to assist in determining the cause of your TMJ pain. Imaging is rarely a first approach with TMJ pain, it is usually done when conservative care has failed to change the symptoms. Treatment of TMJ problems can vary greatly depending on the cause of the problem, as well as the type and severity of symptoms you are complaining of. Physical Therapy treatment at Grapevine Physical Therapy & Sports Medicine can be very useful in managing your TMJ problem or alleviating your problem all together. Often our treatment also involves the conjoined effort of your doctor, and your dentist (or orthodontic specialist). Medications prescribed by your doctor can be very useful as a pain relieving adjunct to our treatment at Grapevine Physical Therapy & Sports Medicine. In more chronic or extreme cases your doctor may even choose to do a joint injection of an anti-inflammatory or pain relieving medication into your TMJ. If required, your Physical Therapist may also work with your dentist or orthodontic specialist to determine if a mouth splint or dental work is needed in order to assist with your TMJ issues. Physical Therapy treatment at Grapevine Physical Therapy & Sports Medicine can be very useful to manage your TMJ symptoms or alleviate them completely. Your therapist will use a variety of techniques and modalities to alleviate your pain and avoid future TMJ problems. They will also provide education in order to help you better manage your TMJ problem on your own. Firstly, your therapist will provide hands-on treatment such as massage or other techniques to alleviate the tension in the muscles that control your TMJ, including the large temporalis muscle near your temple, and the strong masseter muscle at the angle of your jaw. The other smaller muscles such as the pterygoids may be massaged externally around your jaw, or your therapist may don a glove and work on these muscles from inside your mouth. Muscles in your neck, shoulders, or upper back may also require tension-relieving techniques. Other hands-on work will include your therapist mobilizing your TMJ joint if needed (externally or intra-orally) as well as mobilizing any stiff joints in your neck or upper back. Massage can be extremely effective in relieving pain originating from your TMJ as well as relieving stress, which increases muscle tension. For this reason your therapist will also teach you self-massage techniques that you can use for relief when you are at home on your own. These techniques may include massage of the muscles outside or inside of your mouth. General relaxation techniques can also be useful to decrease overall stress and subsequently the tension in the muscles around the TMJ. Several Physical Therapy modalities can be useful in decreasing your pain. Your therapist may use ultrasound, laser, transcutaneous nerve stimulation (TENS), or other electrical modalities. In addition, ice or heat are simple but effective ways to provide relief both while you are at Grapevine Physical Therapy & Sports Medicine and while you are at home. Acupuncture has also been shown to be an effective method of pain relief. The position of your TMJ is largely affected by the position of your lower jaw, head, and neck as well as your upper and lower back. Your therapist will teach you the correct posturing to manage your individual TMJ problem and will provide strengthening exercises for your jaw, neck, and torso. Your therapist will ensure you have the strength in the postural and core muscles related to the TMJ such that you can maintain good posture throughout your day. Your therapist will provide practical advice on a number of items that can assist you in managing or eliminating your TMJ pain. They will promote sleeping positions that do not add pressure onto your TMJ as well as remind you to not lean or rest your jaw into your hand while sitting or thinking. Your therapist will encourage you to avoid chewing hard foods such as apples, carrots, or hard/chewy candies. Chewing gum, nail biting or chewing on the ends of pens out of habit should also be avoided. In addition, foods that require you to open your mouth widely, such as burgers or large sandwiches should also be avoided or cut into smaller pieces. Your therapist will teach you how to yawn while blocking your chin from opening too wide to ensure the jaw does not overextend or get locked into an open position. TMJ positioning, stabilization, and coordination exercises will also be taught. These exercises will teach your muscles to control your TMJ so that it can function within a pain free range of motion and can do so without adding extra stress to the joint. Often the use of a mirror while you do these exercises is extremely helpful to provide feedback on whether or not your mouth and jaw are in a proper position. 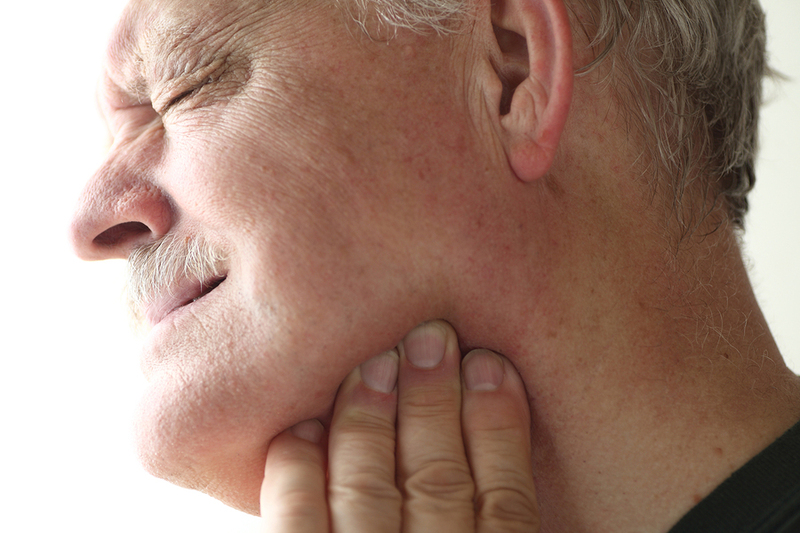 In severe intractable cases of TMJ pain and dysfunction, surgery may be suggested. The TMJ is an important joint for basic actions such as speaking, yawning, and chewing. A disorder of the joint can be very debilitating but Physical Therapy at Grapevine Physical Therapy & Sports Medicine can assist you in alleviating your pain and managing your TMJ problem.